A classic London dry style gin, with subtle notes of pine, eucalyptus and juniper, almost slightly soapy, but leaves you wanting more. Founded on forgotten recipes and traditional botanicals, Bermondsey Distillery started life as the personal project of gin enthusiast Christian Jensen. Almost 20 years later and its London Dry and Old Tom bottlings are transporting a loyal following of devoted drinkers back in time. It was while working in Tokyo in 2000 that Christian realised the supply of good-quality gin was decreasing. I was in a bar and, for no particular reason, I complained about gin not being as good as it used to be. The bartender was in complete agreement. Comparing a bottle of Gordon’s from the 1960s with a bottle produced that year, Christian became convinced there was a marked difference between the two products – not just in age, but in composition. A few years later, when it was time for Christian to return home to London, the owner presented him with one of his favourite bottles of vintage gin as a leaving present. “He joked, saying, ‘Go home and make some gin. I can’t keep finding this old stuff!’” It took Christian 150 iterations and 1.5 years to get the recipe right, and this is the result. Gin as it was. Gin as it should be. Jensen’s Bermondsey Dry Gin is a classic London dry style gin, and this is evident from the nose forward. I find the aroma has subtle notes of pine, eucalyptus and juniper, but it’s almost slightly soapy, too. It’s certainly well rounded. The botanical make-up of this gin is a closely guarded secret. I taste a mix of juniper, obviously, but not overwhelming, nice earthy tones, perfect amount of spice ‘liquorice’, floral and potentially lemon citrus, and coriander. It most definitely has all the usual suspects in terms of botanicals that you find in a London dry gin. It’s got a slight warmth from the 43% ABV, but all the flavours bind together like magic. The final part is the aftertaste, which has enough lingering on the mouthfeel and it dissipates at a perfect rate. It leaves you wanting more, that’s for sure. The packaging represents what the gin is in my opinion – simple, smooth and not overcomplicated. As for classic gin cocktail recipes, I thought it made a beautiful martini – a small portion of dry vermouth stirred down with cubed ice and served in a frozen martini glass with sprayed lemon zest. As for the G&T, I served it with 1 part gin, 3 parts Artisan Classic London Tonic. Filled to the rim with ice cubes and garnished with native Australian eucalyptus leaves and lemon zest. Delicate, pine-forward juniper on the nose. There’s notes of earthy violet qua orris root, coriander and citrus zest. It’s a lovely, complex, yet classic nose which should appeal to any gin drinker. The palate is smooth and soft. 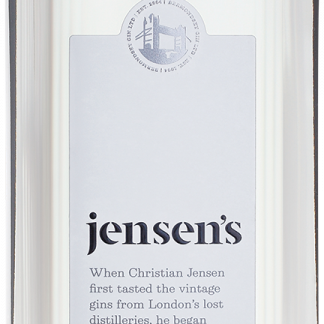 Jensen Bermondsey Gin— at first blush— calls to mind comparisons to Plymouth Gin. There’s surprising earthy floral notes of violet complementing a gentle spiced coriander and quintessentially pine-forward, yet gentle, juniper note. Towards the end of the taste, there’s a subtle licorice note as well which adds a perceived sweetness and softness. Jensen Bermondsey Gin remains classic without being bold and assertive with the juniper. It’s certainly the star, but the combination of botanicals leaves a gentle, round mouthfeel. On it’s own Jensen Bermondsey Gin is an incredibly nice gin to sip. Jensen’s gin epitomises the passion that goes into making gin and how it came to be is a fascinating story in itself! The founder, Christian Jensen, stumbled across this gin during his time working in Japan. His favourite bar made him martinis with a gin the bartender said was a special London gin. Before he left Japan the bar-owner gifted him bottle explaining that it was a brand that wasn’t made anymore. Returning to London, Jensen set about finding more bottles of the discontinued brand before discovering details of the old distillery where it was made in a public records office. Within those records he found the recipe for his favourite gin. As a banker, Jensen was lacking the skills to revive the gin himself and turned to one of the best distillers in the world, Charles Maxwell at Thames Distillers (Thames makes over 60 gin brands, including Juniper Green, Ish and Gilpin’s) to help him. The result is Jensen’s Gin. 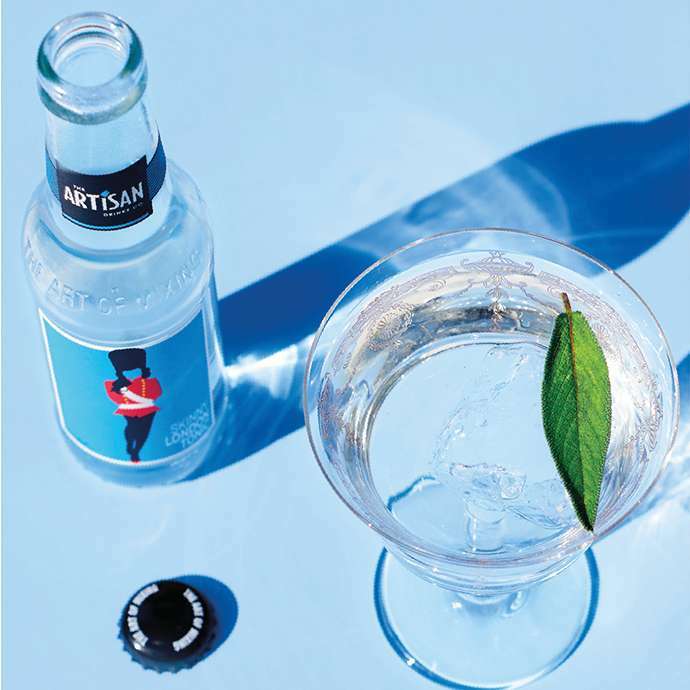 This gin’s success grew slowly by word of mouth (or by taste of mouth?) and in 2013 Jensen’s took the distilling in-house. They commissioned John Dore & Co to build their still (they made the Beefeater stills) and opened a small distillery under a railway arch in Bermondsey. Their distiller is Dr. Anne Brock, one of the very few female gin distillers! Aroma of coriander and bright citrus notes are first to appear before juniper and a little licorice sets in. There may be less juniper in the batch, but because the gin lacks earthy, rooty aromas, it allows the other botanicals to rise higher and shine a little brighter. The gin is soft on your palate and seems to quickly leave without leaving much bitterness from the piney juniper. A hint of violet whispers to you an adieu. Gin Soceity Expert Mikey Enright of Sydney’s The Barber Shop shares his favourite cocktail recipe to make with Jensen’s Bermondsey Dry Gin. Combine all the ingredients in a shaker with cubed ice then shake and strain into a frozen glass. Garnish with sage leaf and chipped ice. Note: To make the lime cordial, sous-vide 1L water and 3 whole limes (peeled) at 40 degrees Celsius for 1 hour. Add 3g citric acid and 30g white sugar, stir, strain and allow to cool before using.